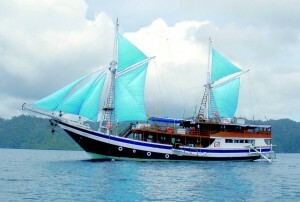 The 33.5 meter Raja Ampat Explorer is a traditional Indonesian Bugis style wooden boat with 3 decks and an all-Indonesian crew. She takes 14 passengers. 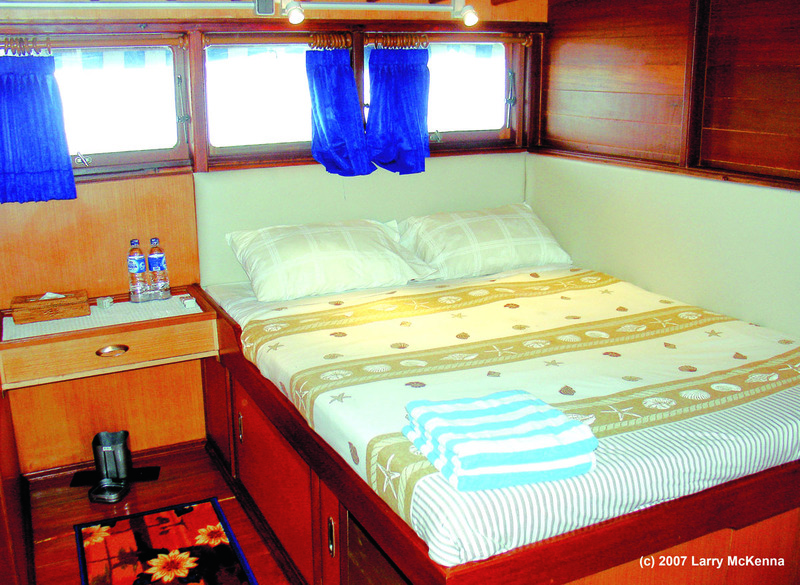 Operated by Grand Komodo, a company with over 2 decades of experience in the travel industry, the knowledgeable crew is skilled in selecting sites and ascertaining the conditions suitable for the needs and experience of their passengers. 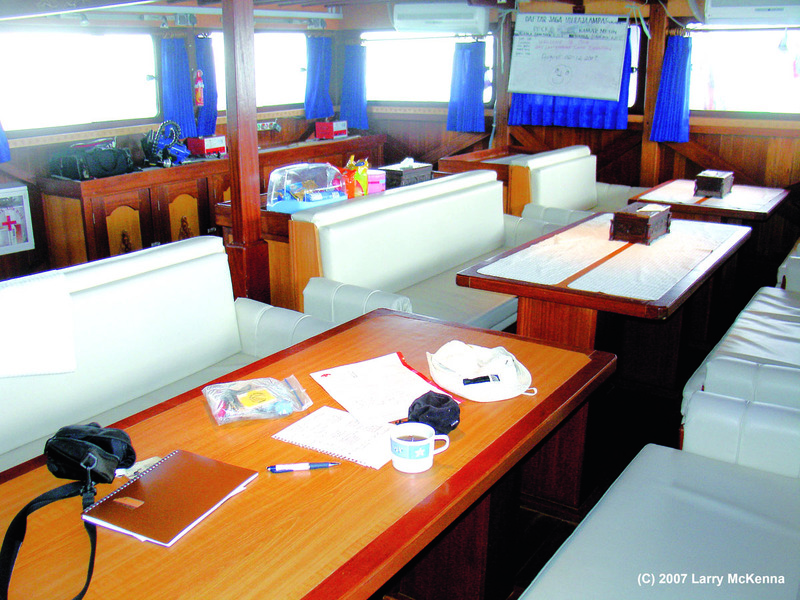 On the main deck the air-conditioned lounge has a TV, DVD and CD players for entertainment and sharing photos. The upper deck features a covered sundeck. 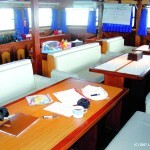 A mix of Asian and Western food is served onboard, and soft drinks and beer are available at additional charge. The individualized service of a competent and friendly local crew ensures a customized, personal diving experience not soon to be forgotten. 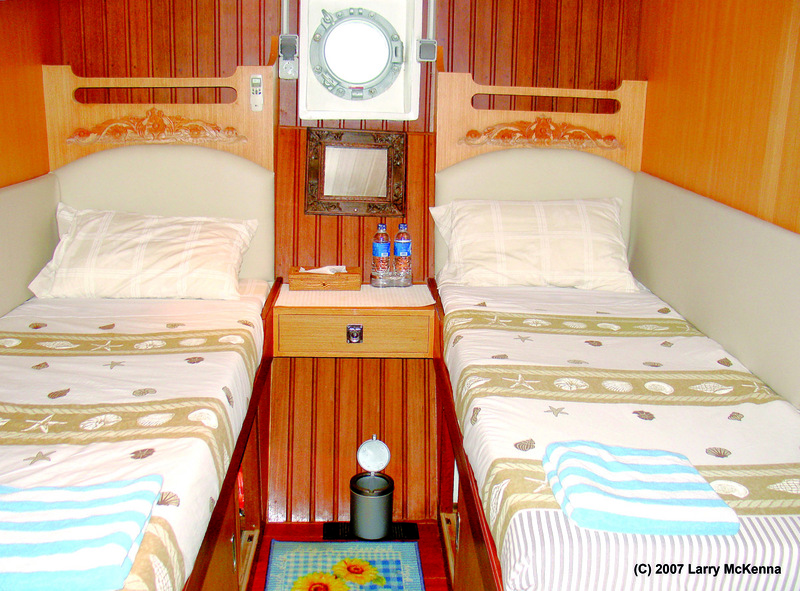 Onboard accommodations are simple and clean with 7 air-conditioned cabins with ensuite bathroom, hot shower, wash basin and toilet. 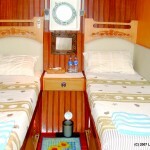 There are 2 cabins on the upper deck, one double and one with side by side twin berths. 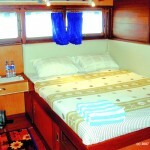 On the Lower deck there are 5 cabins, each with twin bunks. 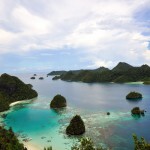 Raja Ampat is the final frontier, at the eastern end of Indonesia. 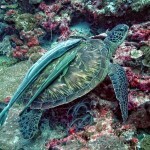 Raja Ampat offers amazing diving and the most stunning topside scenery of any dive destination on Earth. This is where Dr. Gerald Allen counted 273 fish species on a single dive. 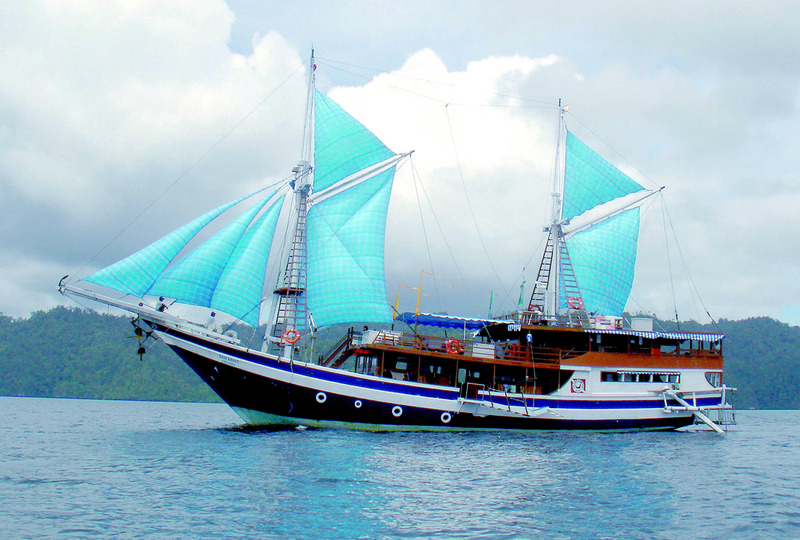 If you’re looking for unusual sea life like the elusive wobbegong shark, or looking for Birds of Paradise, then a Grand Komodo liveaboard cruise here is for you. Raja Ampat is not really about rare critters or seeing sharks, there are generally not as many of what one would call - classic critters or big marine life. What is so special about this area is the scenery and in places the abundance of fish life. Dives where you are inundated with vast schools of fish, on the best of dives fish seem to block out the sun there are so many. 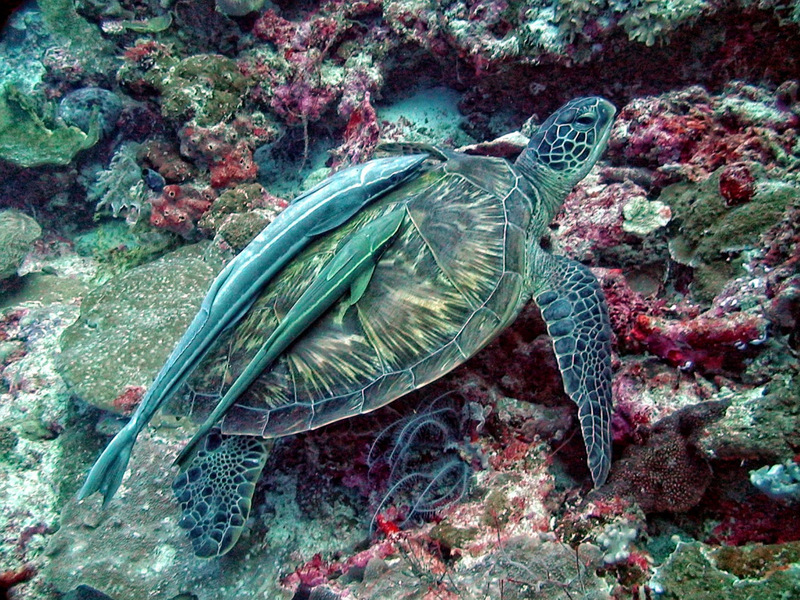 Mellow drift dives across the most beautiful coral slopes and channels, unique dives with heavily undercut mushroom shaped islands with gorgeous coral growth virtually to the surface. Some of the best coral gardens we have seen are in this area. 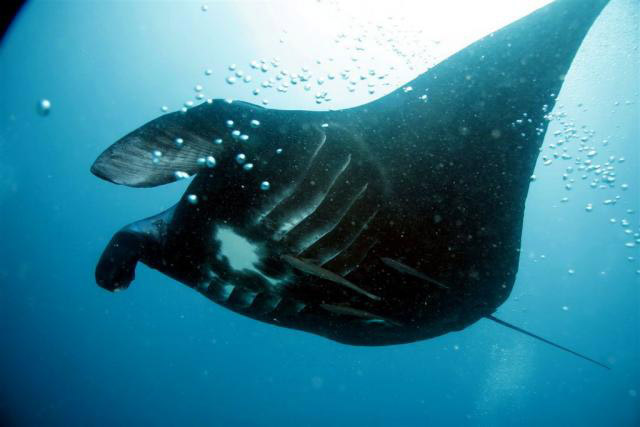 Taking a live-aboard will allow you to see not just these great fish dives but also the topside highlights of this area too. 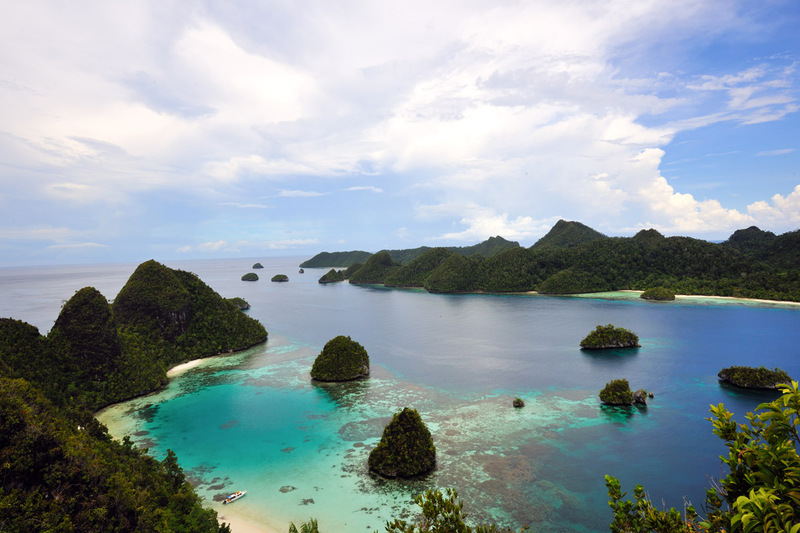 The real “essence of Raja Ampat” is the incredible mix of wonderful topside scenery with great reefs to dive on. Another highlight of this area is taking rides on the tender boat through the most outstanding island scenery of any dive destination anywhere. Triton Bay is still pretty much in the middle of nowhere, far away from the crowd. There are innumerable small islands in the bay. Spectacular scenery over the mainland features rock art cliffs. This area enjoys an unexcelled fish Biomass. Soft coral gardens cover the ridges. Hard coral growth also shows excellent health. 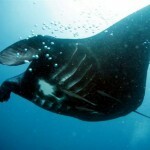 This area has both pelagics and critters, with the diving ranging from very good to outstanding.